How was your week? Mine was kinda boring, except for one thing. - my very 1st job interview, for an insurance company. But I am not here to talk about my life. I am here, as usual, to present you events that happened this week on your favorite online game. 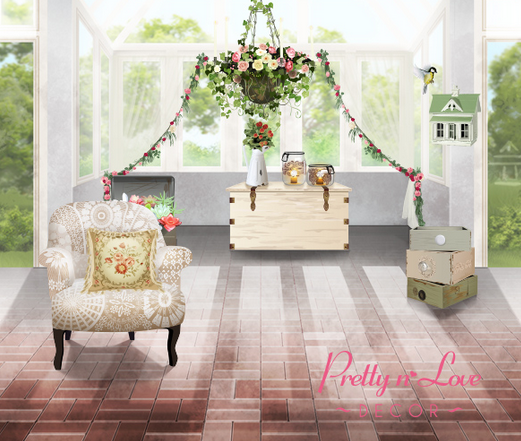 So Spring has definitely arrived on Stardoll as well, as we got new Pretty'n'Love decor, inspired by Spring, of course. It is finally time to stash away your Christmas tree and decorations and fill your suite with flowers, floral themed interior, pastel colors, maybe add a little bird house or hammock to your yard. No, seriously, the collection is truly amazing, I love every single piece. And I think it can be a great place for now grown pet-a-porter animals. Have fun, experiment; unless you want to save stardollars for clothes. 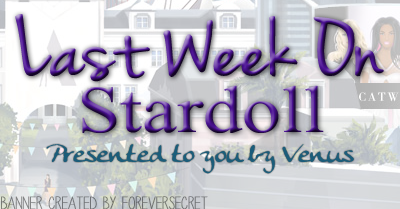 Speaking of..
On the same day, Stardoll announced April HotBuys. My feelings are mixed on this collection. There are pieces I like, there are ones I dislike, some I am unsure of.. I don't buy hotbuys often, and I think I'm gonna skip these, except maybe one or 2 items. I love, however, that they stick to the certain theme, and there are some good quality designer items. Still, I was expecting more Spring like outfits. But I guess we can expect more season related clothes, perhaps in regular stores. This week, (already!) we got yet another Callie's Picks collection, named 'Clear_Skies_Ahead'. Okay, didn't we already have CP collection last week? (Granted, it was CP Decor, but still.) And another fashion collection a week before? I am starting to wonder whether it may become a regular thing, like one week we get Callie's Picks fashion, then the following one Callie's Picks decor, and so on? Back to the topic. The collection consists of mostly blue and white colors, with some gold elements. It has, of course, some rares, some starcoin outfits, we got even one guy outfit. I love the color scheme, and I do plan on spending my stardollars on several items. I especially love the accessories, my favorite being the infamous gold chains and a silver clutch. And a Jessica bag, one of my favorite bags on Stardoll. I wish Callie would re-release more starcoin items, or older items, as they seem impossible to find in bazaars. (Ok, it may seem a bit easier now with new Wild Candy Couture.) I am rooting for some ballgowns. 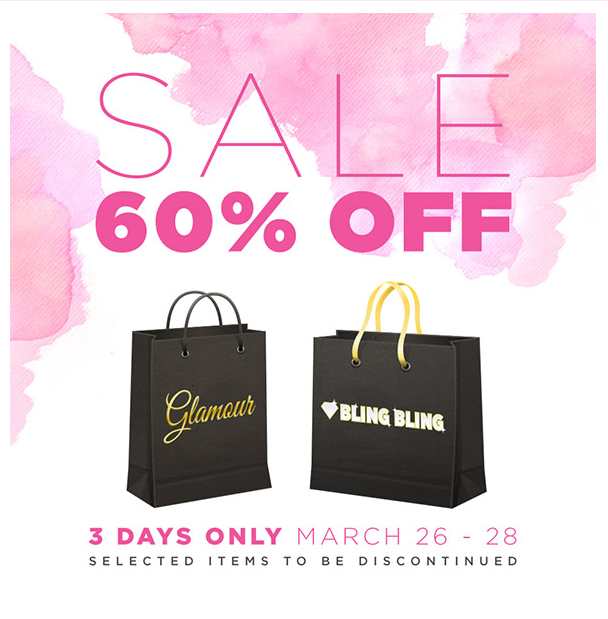 On the 26th day of this month, we got yet another 60% off sale - this time on selected items from 2 decor stores: Glamour and Bling Bling, for 3 days. Which after turned to 75% off sale, like the last time we had a sale like this. This time, though, I did not rush buying stuff as I am not a huge fan of interior, but getting the 75% off seemed like a great deal for me to grab some pieces. There are some really great items on sale, for funny prices, so go ahead, buy something, even you do not see using it at the money, who knows when it may come in handy. I am only wondering whether we will have more sales like these, (probably yes), and will we always have last minute 75% off. Time will tell, but I believe it is a good idea from Stardoll to remove some older clothes from starplaza and make room for some new collections. 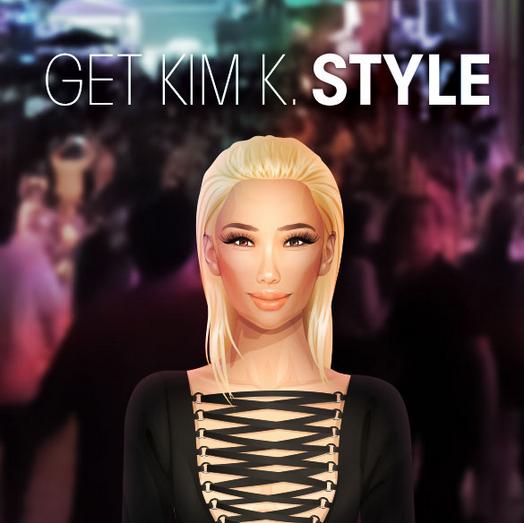 On Thursday, we got new Young Hollywood collection - well the 1st part at least, consisting only of Kim Kardashian inspired hairstyle, and 2 necklaces. And on Friday, we got a part 2 - this time only clothes and accessories, inspired by Kim and Kanye outfits. Okay, for the 1st part, I really loved it, the hairstyle looks really good on my doll. I love the choker necklace as well. Funny thing is, I did not expect this collection to arrive and be limited, so I took a nap, which I do not do often. And when I woke up, I saw the message, and immediately rushed to starplaza to buy the 3 items. I saw the items were almost sold out, so I just added them to my shopping cart and clicked 'buy'. What was funny is that literally 2 minutes after, I saw that the choker necklace was sold out like 2 minutes after. The good thing was I did not have to wait and refresh like crazy, which happened the following day, when the clothes got released. I liked the items, not that much, but still enough to keep me checking starplaza and USD every 15 minutes or so. My point is, waiting for limited items is a real agony, it takes so much time, patience, and nerves. I wish Stardoll just announced the exact time collection will be released, or at least approximate time. Some members live in different time zones, and have to wake up early/stay up late, and some do extremes, like skipping school, meals, or meeting with friends just to get their hands on those, granted fabulous items, but still, is it really worth it? And the same day, we got our final March Madness gifts - yeah, you read it right, we got 2 gifts this time. One of them is that gorgeous, elegant bed, perfect for non superstar users who can hardly get a bed like this for starcoins or going broke with stardollars. I love the color scheme, but I guess it will find it's place in my storage for now. Another one is this gorgeous eyeshadow. I love the package, and again, it is great for all members, and great shade as well, as you can create the infamous 'smoky eyes' effect. 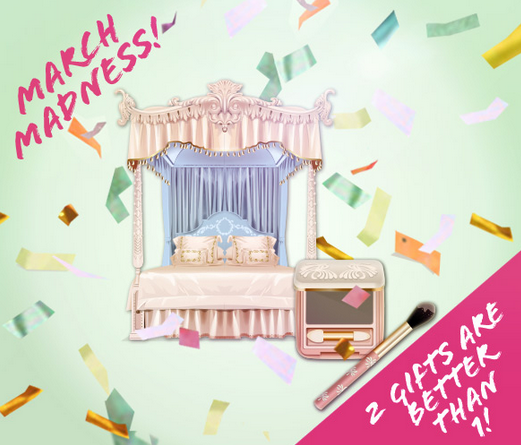 I guess this concludes March Madness, but I hope we get more gifts and campaigns like these. And that concludes the week. I hope you had fun, I hope you got what you wanted, hope you are patiently waiting for some updates, hope that next week gets even better, and I hope you vote on the poll and comment your opinion, either overall or on every single event.